Here is the second in Dr M’s blog posts on the Tribes of grasses and a bit of a marathon this one, enjoy! The Aveneae is the largest grass tribe in Britain with twenty-two genera. The inflorescence is a branched panicle which may be spike-like, contracted or open. 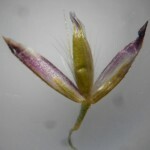 Spikelets have 1-several fertile florets which are laterally compressed. 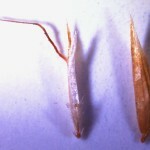 The glumes are persistent and often papery, usually longer than adjacent lemmas, and often as long as the spikelet and membranous with hyaline margins. The lemmas have thin, shiny margins, are 5-11 nerved, and typically with a dorsal awn which may be either straight or bent (geniculate). 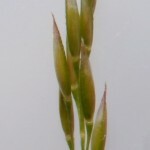 The Aveneae includes the oat grasses and with some notable exceptions the dorsal awn is pretty much universal in the British Aveneae and so this is a key thing to look out for. 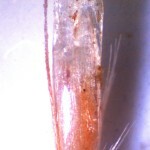 But make sure you examine the spikelet carefully and check the awn, sometimes at first glance it can appear terminal, especially in the genera with smaller spikelets, but just tweak the glumes apart and check the point of attachment of the awn to the lemma, if its in the Aveneae it will be dorsally attached! 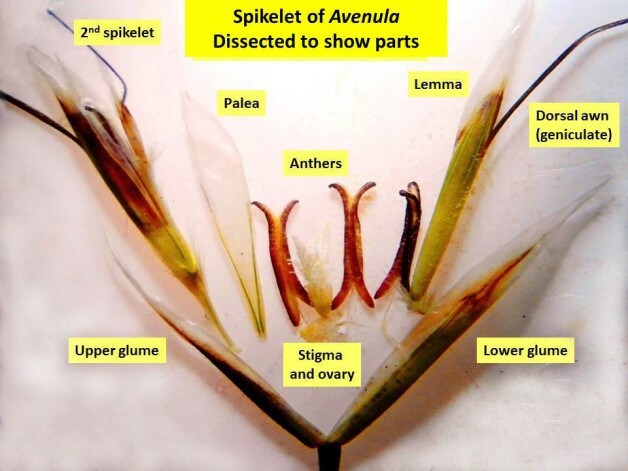 The main differences between Aveneae and the other large British tribe, the Poeae are: Aveneae usually have thin papery glumes enclosing the whole spikelet and lemmas with dorsal, geniculate awn. 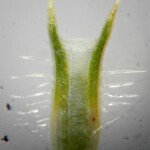 In contrast, Poeae usually have short herbaceous or membranous glumes and the awn, when present, is terminal. NB Click on the images to get a better view. 1. Agrostis capillaris (Common Bent-grass) – Inflorescence a finely branched panicle of very small, 1-flowered spikelets and usually flat, glabrous and finely pointed leaf blades and (in A.capillaris) a short ligule, Awns in Agrostis are very variable and an unreliable character for distinguishing species. Very common in a wide range of grassland and heathland habitats. 2. Aira caryophyllea/praecox (Hair grasses) – Annuals with inflorescence an open or contracted panicle, spikelets 2-flowered, glumes equal and lemmas with geniculate awn. Dry grassy places. 3. 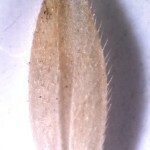 Alopecurus pratensis (Meadow Fox-tail) – Inflorescence spike-like and cylindrical, spikelets 1-flowered, glumes equal, enclosing the floret, and awns straight or geniculate. Common in damp meadows and pastures. 4. Ammophila arenaria (Marram Grass) – Leaves in-rolled and deeply ribbed, inflorescence spike-like and spikelets 1-flowered, with a sub-apical mucro (point). The most common large sand-dune building grass. 5. Anthoxanthum odoratum (Sweet Vernal-grass) – One of the earliest grasses to flower in Spring (hence the vernacular name), inflorescence spike-like, spikelets 3-flowered (the 2 lower ones male or empty), upper awns geniculate, lower awns straight or absent, aromatic plant with hairy ligules. Very common in meadows, pastures, heathlands etc. 6. Arrhenatherum elatius (False Oat-grass) – Basal internodes often swollen (sometimes called onion couch), inflorescence a dense panicle, glumes unequal, the upper as long as the spikelet, spikelets 2-flowered with or without a rudiment (=reduced florets), lower floret male and stoutly awned, upper floret bisexual weakly or not awned. Tall grass, very common in hedgbanks and unmanaged grassy areas. 7. 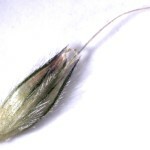 Avena fatua (Wild Oat) – Annual, inflorescence a loose and nodding panicle, spikelets large, 2-several flowered, glumes equal, as long a spikelet, awn geniculate. Common weed of arable land, also sown by young irresponsible youths. 8. Avenula (syn: Helictotrichon) pubescens (Hairy Oat-grass) – Inflorescence a narrow, erect panicle 2-several flowered with 1-2 reduced florets (rudiments), glumes unequal, the upper often shorter than the spikelet and adjacent lemma, dorsal geniculate awn. 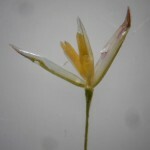 Leaves with tramlines and boat-shaped tip (so don’t mistake for Poa which is famous for this combination). Quite common in grasslands. 9. Calamagrostis epigeos (Wood Small-reed) – Inflorescence a contracted panicle, spikelets 1-flowered, glumes as long as spikelet, callus bearded (= conspicuous tuft of hairs visible at base of caryopsis (grass “seed”). Tall, reed-like grass, common in South and East England in damp woodland, fens and coastal areas. 10. Deschampsia cespitosa – Inflorescence an open panicle, silvery coloured, spikelets 2-3 flowered, glumes subequal, as long as the spikelet, inconspicuous or weakly geniculate awn. 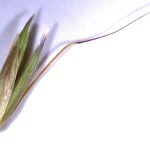 Coarse grass with ribbed and dangerously scabrid leaf blades and long pointed ligule. They commonest tall tussock grass in wet rush pastures, moorland and woodland. 11. Holcus lanatus – Inflorescence a dense panicle, purplish tinged, spikelet 2-flowered, glumes papery and subequal enclosing the floret, lower lemma awnless, upper lemma with characteristic hooked, dorsal awn. Our commonest grasses of damp grassland, woodland, moorland, agricultural and disturbed ground and many other places. 12. Koeleria macrantha – Inflorescence spike-like and silvery-coloured, spikelets 2-several flowered, glumes unequal or subequal, shorter than spikelet, an enigmatic genus according to Cope & Gray because it doesn’t follow all the rules of Aveneae! 13. Phalaris arundinacea – Inflorescence spike-like, spikelets 2-3 flowered, lower florets reduced, glumes papery and equal and exceeding the florets. Wet grassy places river banks etc. 14. Phleum pratense – Lower internodes sometimes swollen, inflorescence spike-like and cylindrical, spikelets 1-flowered, highly laterally compressed, glumes equal and longer than, and enclosing, the florets, glumes often ciliate with characteristic narrow or short stiff awn. Very common in meadows and pastures. 15. Trisetum flavescens – Dense to spike-like golden-yellow coloured inflorescence, spikelets 2-several flowered, glumes unequal and shorter than the spikelet, dorsal awn from below the middle of the lemma, geniculate or reflexed. Meadows usually on base rich soils. For completeness the other less common British genera in Aveneae are: Gaudinia, Corynephorus, Mibora, Polypogon, Lagurus, Gastridium and Apera. Next tribe in the series is the beautiful Bromeae, enjoy!